This portable app's website says "Bright Snippet Sire," but everybody calls this open-source favorite Briss for…er…short. 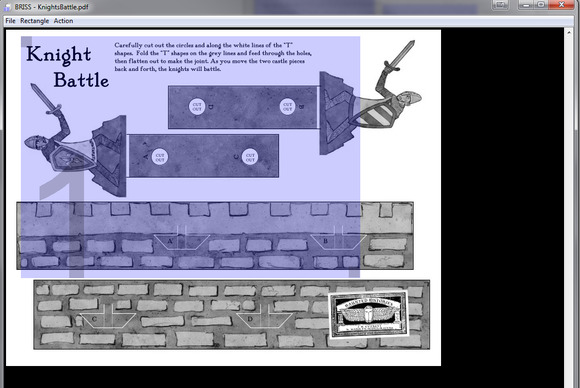 Briss crops a section of a PDF file and creates another PDF file of the cropped area. You can crop unwanted areas from PDFs with Briss. It's free, open-source, and portable, too. Briss works on Linux, Mac, and Windows. It's easy to use, and it's awfully handy if you have a PDF page with something you'd rather not pass along. You can simply highlight what you want to keep and generate a whole new file. If you own an e-reader, you'll find Briss particularly useful. To read a PDF on an e-reader, you normally have to format and convert it, and traditional ebook converters (such as ePub converters) frequently make a hash out of PDF conversion. Briss converts two-column pages into single-column pages, cuts out the unnecessary margins, and automatically removes unwanted fluff, such as page numbers and chapter headings. 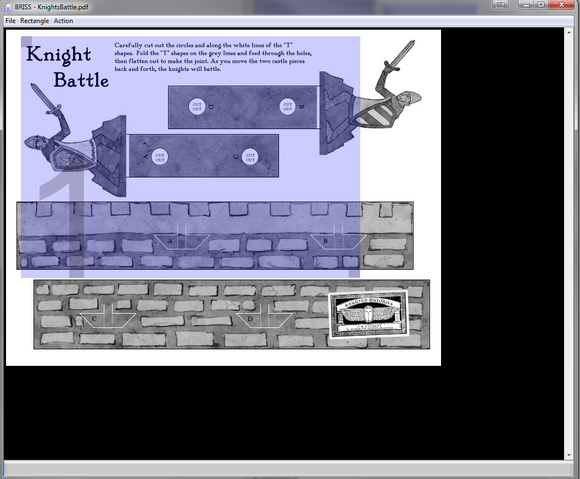 It then produces a PDF file that you can then successfully pass through an ePub converter.